The crunch of colorful leaves beneath your feet. The bright blue skies. The crisp morning air. I love everything about this season, especially traveling in it. Packing for autumn's unpredictable weather, however, can be a problem. That's why a good seasonal packing list covers all the bases: heat, rain, and cold. Here are some of the items you won't want to leave out of your carry-on this fall. Choose breathable fabrics, like cotton and linen, for the layers closest to your skin. A button down plaid shirt, plain t-shirt, and even a tank top can be mixed and matched to provide more or less coverage when the days are warm and the nights are cool. Again, the key with the mid layer is to choose another breathable yet insulating fabric like cotton or wool (or a blend of the two). A vest is layer that is very easy to stuff inside of a carry-on or tote bag and pairs well over a tee or a sweater for an extra layer of warmth. Wherever you go, make sure to pack at least one dress. The most packable dresses are made of spandex, lycra, or other stretch materials. This kind of fabric is also very forgiving on nights of overindulgence. Denim is a durable fabric to wear when traveling but you don't want to bring too many pairs because it can be heavy in your bag. Yoga pants are the most comfortable choice for an overnight flight and can double as pajamas pants later on in your trip. 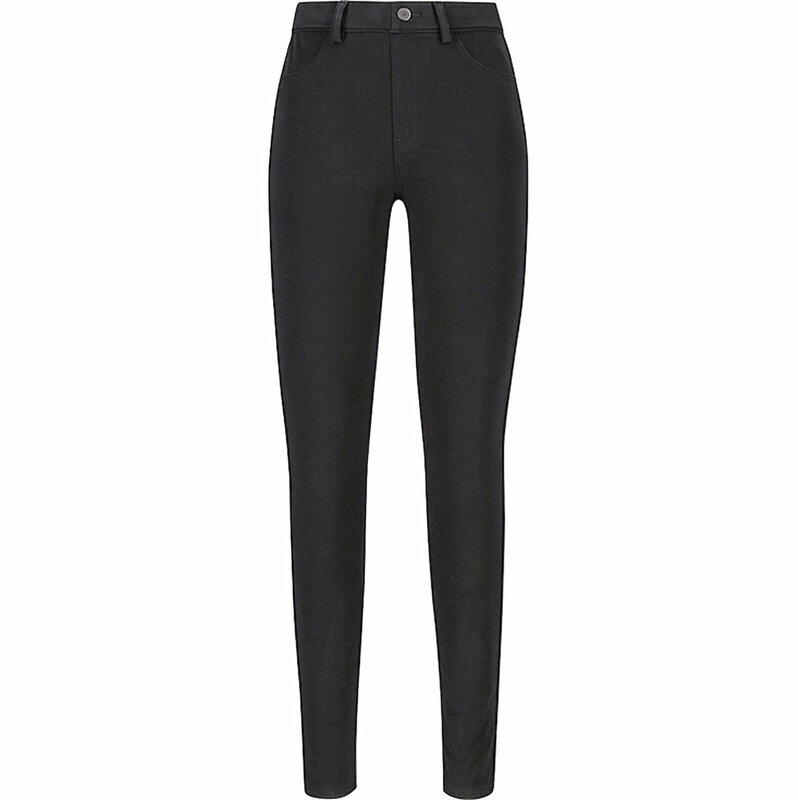 If you're really against the idea of wearing yoga pants, try something sturdier like Uniqlo's Legging Pants. The best outer layers in autumn are cotton or nylon (waterproof), thin, and lightweight. The kind of coat that packs into its own pocket is very easy to stuff into a carry-on bag or tote. The coat, combined with the fleece or wool layers, should be enough to keep you waterproof and warm. Casual leather booties like Lucky Brand's Basel booties are equal parts comfortable and stylish. When the weather is unpredictable and calls for scattered showers, opt for rainboots like the low or high Giverny by Le Chameau. When you're not wearing them, the simplest way to pack rain boots is to place the feet in a shower cap or plastic bag before placing in your carry-on. Be sure to stuff the middle sections with clothing and accessories to take advantage of the space in your bag. Slippers take up way too much space in a carry-on, so be sure to pack a nice pair of thick wool socks to wear at night. What's in your autumn carry-on? Leave a comment below! I was graciously gifted a pair of Le Chameau boots to keep my feet nice and dry this season. As always, all opinions are my own.